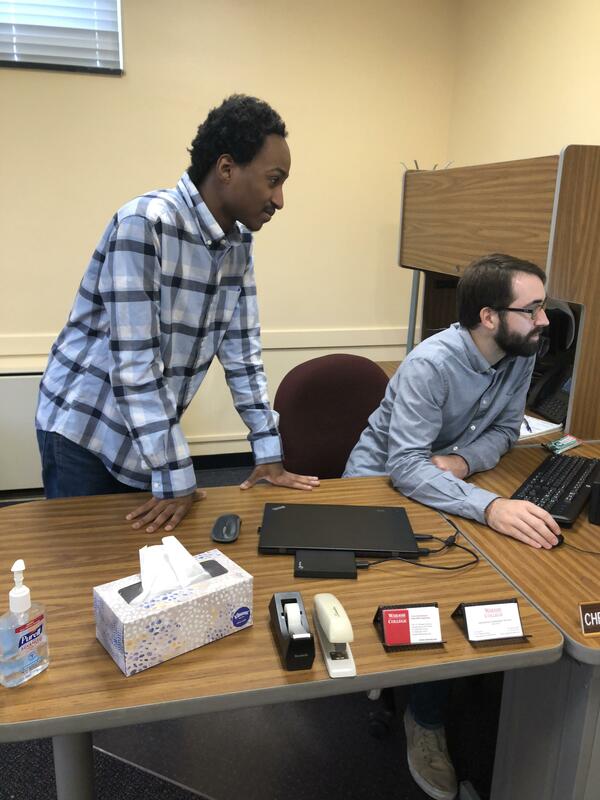 Sedgrick White ’21 Wabash College IT Intern – Since I have arrived at Wabash, It has been difficult to decide what profession I would like to go into in the future. 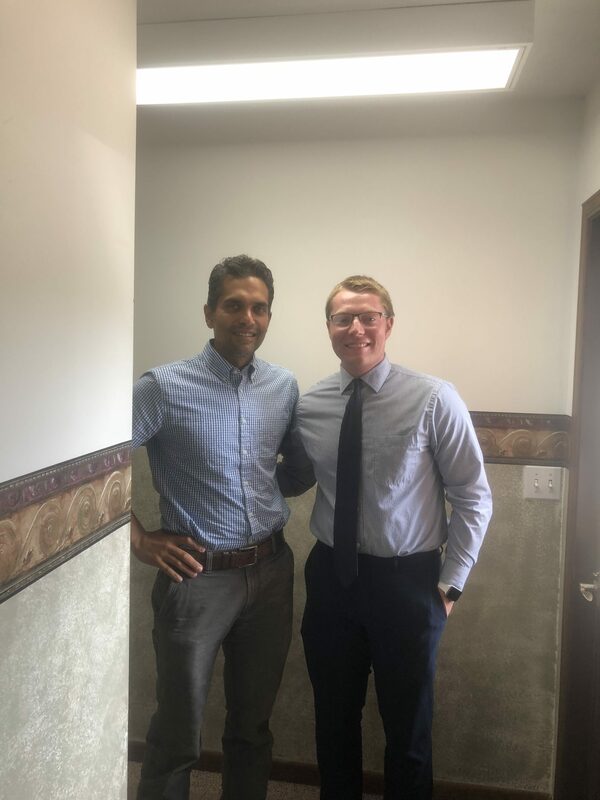 Throughout this summer, I would like to think my time with the Wabash IT Department as an intern has helped ease my mind on this very important decision. 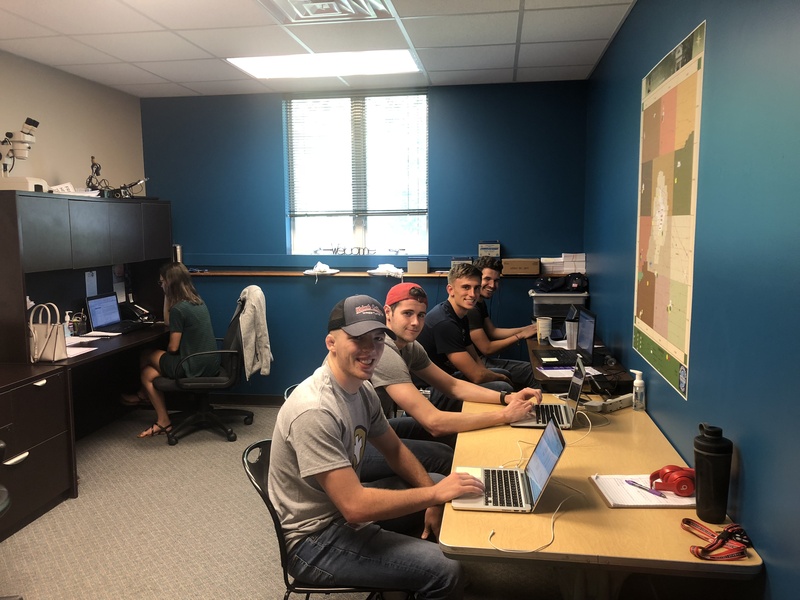 My internship at the Wabash IT Department lead me to meeting many faculty in different departments that I more than likely would not have met if I was not a part of this internship. My internship consisted of installing computer systems for faculty. Furthermore, I would set up their systems, move their files, and set up personalized requests that were specific to their systems. In addition, I also answered tickets request for faculty that may not have computer installations, but they were in need of assistance with their computer systems. A part of my internship was very helpful to me as a person who may not have as much knowledge of technology that goes beyond the basics. For example, an external drive for Wabash students is available on MyBash called BOX and I never used it and I didn’t know about it. However, through my experience with it this summer, I am certain that I will use it for my classwork from now on. I learned that Wabash equips us with so many systems on their computers that makes it possible to get the most out of your education. As an intern for the IT department, my computer installations for faculty came with many different requests. During one installation, I had to install a laptop and dock with a monitor. Additionally, there was a request for the person to keep their old monitor and have to monitors at their desk. A request like that is actually quite frequent. The difference between this installation and others is that I had to install the monitor vertically. This is the type of technological information I gained through my internship. Overall, my internship with the Wabash IT department was very positive. I’m still uncertain of what I will major in or the career I would like to be in for the rest of my life, but I do believe this experience has opened my eyes to a career that I didn’t particularly think about before. I think I will keep IT as a career choice that might be the right fit. 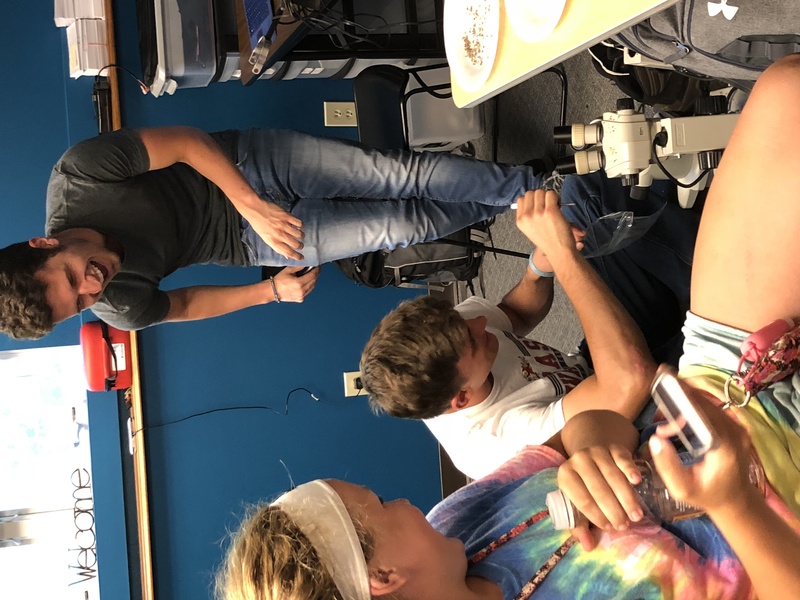 Eric Lakomek ’21– This summer I have had the pleasure to participate in an Immersive Learning experience funded by the Wabash Global Health Initiative with alumnus Dr. Sean Sharma ’98 and the staff at the Fountain and Warren County health departments. I was given the opportunity to experience the outreach of public health in the only bi-county health department in the state of Indiana. The principal task I spent most of my time on this summer was developing an open-ended project that addressed a major health care need in the community that would have a lasting impact on the residents for years to come. After searching through many recent demographics of the area, I decided to develop a project to combat the mental health crisis facing both Fountain and Warren counties. Nearly one in five people in both counties are affected by depression and anxiety. In Fountain County, 15 methamphetamine labs were seized in 2013, and both counties have an extremely high drug overdose rate. However, the ratio of mental health and addiction care providers in Fountain County was 2,082:1. These statistics helped demonstrate a serious problem that desperately needed to be addressed in this extremely underserved area. For the little help residents do receive, the rapid ascent of mental health illness and substance abuse diagnoses is not coupled with an accelerated awareness of resources available to the community. In addition, the stigma surrounding mental health must be reduced so that those who need help are more willing to seek it. I created a series of posts and articles detailing the many different disorders, common symptoms, and where to seek treatment, as well as a list of around 50 immediate and professional resources within 50 miles of the health department. I also called different locations of treatment facilities and attempted to find out the average wait times and what to expect to make things more transparent. This made me realize the difficulties an individual goes through just to get in the door of these treatment facilities. Often times, individuals can not receive the proper treatment they need because of the lack of access to care and governmental funding. 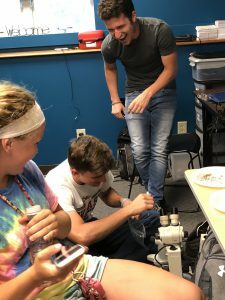 What I observed this summer has allowed me to put my liberal arts education to use and apply it to addressing the behavioral needs of the community. Mental health is not a clear-cut subject. Each person has a different story and viewing it from different perspectives has allowed me to understand a completely diverse side of this growing topic. I am excited to use what I have learned and look forward to using it to make the mental health process easier to navigate in the future. There is a growing crisis in America today, but as I have learned, there still a reason to keep on fighting the stigma. Many groups today are working on moving mental health to the forefront of healthcare problems that must be addressed. Thank you to all who have made this internship possible! Owen Doster ’20 – Like many of the employees of the Health Department in Montgomery County, I do multiple things. For the most part, my classmates Matt Hodges ’19 and Hunter Jones ’20 are here for very specific opportunities, but I am getting more of the all-encompassing experience. Primarily, I work as a member of the Surveillance of Water and Airborne Transmitters, or SWAT team, for the health department. We are the vector control experts. That means we trap, determine the species, and send the mosquitos off to the state health department to check for carriers of West Nile virus. I have also experienced almost every other facet of the department: home inspections, restaurant inspections, septic inspections, county meetings, nursing procedures, and vital records. It is incredible to see how people whose families have been ravaged by drug abuse, prison time, health issues, or just overall family troubles can bounce back and continue to try and live. These powerful moments really make me stop and think about not only the people but the circumstances revolving around how they got to this point of intervention. This summer has been humbling and a true test of how I think about people and the hardships they face. To me, the ability to be serious, professional, yet empathetic is essential to being a great physician, a medical professional, or just human. This summer has been a constant test to my empathy. I came from an upper-middle class family where I’ve never had to worry where my next meal was coming from, if I was able to shower or brush my teeth safely, or any other circumstance revolving around safe living. I don’t know what that feels like and don’t profess to. However, this is where my empathy comes in. I have challenged myself to try and understand and think more deeply about those situations involving the people we are helping and working with. I may never see that person ever again, but how will they remember our interaction? And if we do ever cross paths again, how will they remember how I treated them last time? I have two choices. I can be selfish and lack the ability to take the time out of my day to care and understand where they are coming from. Or, my second choice is to act like the human we are created as and show care, empathy, and love. Without that approach we will continue down a path of selfishness without ever making a positive difference in the community or potential the world around us. 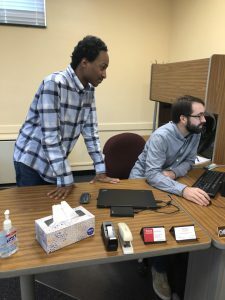 Hunter Jones ’20 – I was hired by the Montgomery County Health Department through a grant specifically to create materials aimed at helping those who had recently experienced an overdose due to opioids. In this capacity, I began by creating an updated list of substance abuse treatment centers and resources in the area. However, in doing this, I was shocked to find how disorganized and incomplete current local and national resources were. This led me down the path of creating a new website for Montgomery County to create a centralized and inclusive resource for substance abuse treatment, prevention, and information in our community. I am currently working with the health department to submit a grant to fund this website and thrilled when thinking about how much potential this resource has. Owen Doster, Hunter Jones, Sam Marksberry, and Matt Hodges at the local health department. I attribute a lot of my success in my role at the health department to my time spent in a liberal arts environment because it has taught me to not only identify a problem but also take the steps needed to establish a solution. Wabash has equipped me with the tools to view a problem through a critical lens and walk my way around a problem in order to create a well-rounded response. My liberal arts education has also been critical when observing discussions from different community members and other organizational efforts to combat the opioid epidemic. As with all issues of this magnitude, there will always be differing opinions on what the best answer is. The most important tool Wabash has given me regarding these discussions and plans is the ability to take a step back and see a problem through a bigger lens than my own experiences to help establish a versatile solution. Matthew Hodges ’19 – As a pre-med student with a primary care focus, I tend to frame preventive care at an individual level. When I think of preventive health measures, I generally think of proper diet, adequate physical exercise, reducing high-risk behaviors, and receiving routine checkups, vaccinations, and examinations. While these factors are undoubtedly important and play a key role in public health, there are so many preventive measures beyond the scope of individual lifestyle choices that are absolutely vital to a healthy community. Working at the Montgomery County Health Department this summer, I’ve had the opportunity to see a small fraction of the work that goes on behind the scenes to keep our community healthy. Matt Hodges ’19 laughs during a day of picking up mosquitos. Many of the health department’s responsibilities are things that we don’t think about; we simply take them for granted because they have been done so well for such a long time. Food inspection and sanitation specifically come to mind. When we sit down at a local restaurant and order our favorite menu item, we assume the food is clean and won’t make us sick. When we look down at our plate, we generally don’t ask ourselves at what temperature the meat was cooked, whether or not there was cross-contamination in the kitchen, if everyone was wearing a hairnet, or if the freezer was cold enough. Fortunately, Adrianne Northcutt has already asked all of these questions so we don’t have to. Similarly, the whole appeal of indoor plumbing is that we don’t have to think about what happens after we flush. That isn’t magic – it’s a man named Don Orr. Don personally inspects every septic system in the county to make sure they meet standards that prevent a whole host of unpleasant sewage-related problems. Without people like Adrianne and Don, it would only be a matter of time before diseases and health issues that primarily exist in history books and developing countries come back to bite us. Working at the health department, I’ve learned the importance of a sound, well-regulated infrastructure. Many of the societal comforts we take for granted are in fact substantial victories for public health. 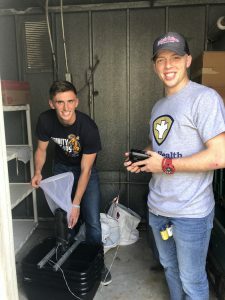 Samuel Marksberry ’21 – As an intern at the Montgomery County Health Department, my main role has been with the vector program. That includes doing mosquito surveillance around the county by collecting, typing, and sending mosquitoes to the state health department in order to be tested for West Nile virus. I’ve also worked with the education side of public health by writing articles about food safety and nutrition for the local newspaper and designing activities for kids at the local health fair. The other piece of my role at the health department is learning the structure and responsibility of how the department influences positive health in the community. I have also participated in food, pool, house, and septic inspections. My most powerful experiences have been when I tagged along on some of the house inspections. I have observed poor air quality, human and animal feces, stuff piled to the ceiling, or dirt everywhere in a home. These conditions are factors that play into deeming a house unfit for human habitation because they all have a negative impact on health. Through my liberal arts education, I am able to piece together the many components that play into an individual’s health. Rather than just assume some people are, for lack of a better word, dirty, health is more than what can be seen on a house inspection. In my Global Health class with Dr. Eric Wetzel, we discussed that many factors such as education, socioeconomic status, family, and experiences are what make up someone’s health. I have learned that to truly help someone, it is important to practice empathy and understand where an individual is coming from. Helping someone can be tricky at times because it can be difficult to figure out what would be most beneficial to them, but listening and caring make improving someone’s situation less difficult. My experience at the health department combined with my education at Wabash has given me another lens to view the world, a lens that is focused on understanding others. 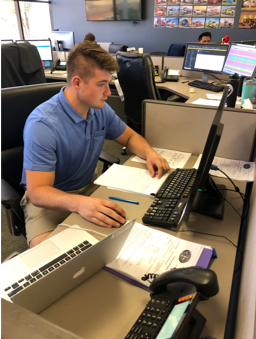 Jack Wagner ’20 Logistics Intern- CTS – This summer, I spent ten weeks of my summer immersed in the field of logistics, working for a freight brokering agency in Phoenix, AZ. The company I worked for, Commodity Transportation Services, functions primarily as a third-party logistics company that helps growers and shippers working in the agricultural industry find trucks to transport their various commodities. We function under the budget allowed to us by each customer for each individual load. 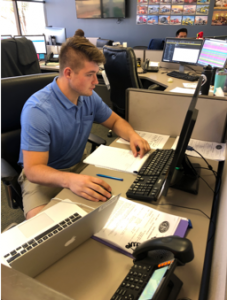 Our agency is projected to broker $24 million in freight this year, so it was quite an experience to intern for the company during the climax of the business year. My ten-week internship began with copious amounts of various forms of data entry to help me learn the basics of the company. After becoming comfortable and familiar with our systems and functions, I began to build a few client lists in anticipation for the upcoming seasons’ hotspots. This helped me gain experience making professional phone calls about our business before actually making sales calls. After the first half of my internship drew to an end, I had come to a point where I was allowed to start negotiating my own business with customers. In the second half of the summer, I negotiated well beyond $100,000 of business and was ultimately able to secure and manage over $25,000 of my own freight. This means I was responsible for negotiating a budget with our customers, negotiating with trucks to cover the given loads within this budget, while also operating at or above a 10% profit margin, as well as communicating with drivers daily in order to protect and manage our business. I was able to secure roughly $3,000 in profit for CTS throughout the five weeks I spent brokering my own freight. This summer, I learned much more than the ins and outs of produce brokering. I learned about a thriving industry that I hadn’t previously given much thought to, formed relationships with some incredible people from very different backgrounds than myself, I witnessed and participated in a living, breathing example of the Wabash Alumni Base and gained an incredible amount of business experience that will transfer to any number of industries I could potentially choose to pursue. It was a formidable, yet very rewarding experience to travel to and live in a part of the country I had never experienced when I was largely on my own. While this summer had a few lonely points, I wouldn’t trade the experiences I had and the relationships I formed for anything. I gained a much deeper appreciation for what Wabash has to offer once you leave campus, and this has truly reinforced my confidence in my decision to pursue the distinction of a Wabash Man.